Cherokee Village is a beautiful lake and golf, residential community located on over 13,000 acres at the eastern edge of the Ozarks in northern Arkansas. If you have been looking for that "best kept secret" place to live or vacation without the high prices and crowds, you have found it. Come find out for yourself what a wonderful piece of America we have here with 7 beautiful lakes, 2 uncrowded golf courses, rivers and streams, and an abundance of nature and wildlife. What is Cherokee Village Arkansas? Cherokee Village is a quaint town of beauty that offers lake and golf resort style living, nestled in the mountains of the eastern Ozarks of North Central Arkansas. People from all over the world are drawn to this area to enjoy the stunning scenery and breathtaking views of the Ozarks, and Cherokee Village has been a focal point right in the middle of it all. The community is in the middle of wooded, rolling hills and has numerous clear, clean lakes, and meandering spring-fed rivers and streams all throughout the village. Founded back in 1954, yet to this day, at approximately only 4600 full time residents, Cherokee Village is still considered a hidden gem to residents and visitors alike. When you come here, you will fall in love with the area's slower lifestyle, low crime, non-existent traffic jams, and room to roam in a natural paradise. In Cherokee Village, you can have your piece of heaven as you envision, and it is still affordable. Some are looking for a lakefront home so that when they walk out to the backyard, they can take a few steps to their dock and jump in their boat. Some are looking to sit on the deck of their home directly on the golf course and watch the sunset over a fairway after another good day on the course. Still others are looking for a home in the rolling hills with plenty of woods and privacy to enjoy the natural beauty of the Ozarks. If this sounds like what you are looking for, then you have found your destination. This area is known for its fishing, boating, water-skiing, rafting, canoeing, golfing, hunting, hiking, and even antiquing. Those who are looking to escape the hectic city life, find your retirement spot, a second home, or just find a new vacation spot, then Cherokee Village is certainly the place to consider. Where is Cherokee Village Arkansas? 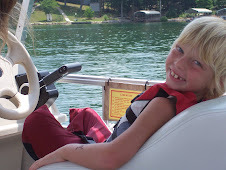 Cherokee Village Arkansas Lakes ! Cherokee Village has seven private lakes that offer plenty of outdoor recreation. 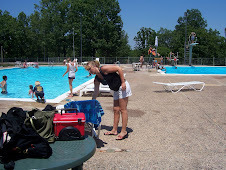 These lakes are operated by the Cherokee Village Suburban Improvement District (SID) for the use and enjoyment of property owners and their guests. 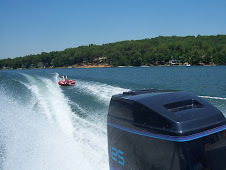 Lake Patrol officers monitor the lakes to make sure all boats are in compliance with state and local regulations, and that all users of the lakes are property owners and/or their registered guests. Lake Cherokee flows with a scenic waterfall into and through Papoose Park. All of the lakes in Cherokee Village have been stocked with Largemouth Bass, crappie, catfish and other native fish. Cherokee Village Arkansas Golf ! Golf in Cherokee Village, Arkansas is, in one word…uncrowded. Yes, you read it correct. Most golfers would think that a scenic course with no tee times and rarely very busy would not exist. Most would say if there are no tee times, then it must be very exclusive and expensive. If it’s not busy, then it must be a poorly groomed course and not very much fun to play. Cherokee Village is golf paradise with its two championship eighteen hole golf courses. Both courses are beautiful and uncrowded. Arkansas' mild climate gives you the chance most years to play golf year round. Cherokee Village South Course is an 18 hole regulation length golf course. The South Course is the longer of the two courses. It is hilly and offers wide open fairways. This championship layout plays fairly long from the back tees at 7058 yards. Modestly difficult, this golf course definitely rewards good shots and can be forgiving of bad ones. You'll enjoy many nice views on the South course. The view from the first tee is incredible as is the view from the clubhouse overlooking the course. Cherokee Village North Course is also an 18 hole regulation length golf course. This medium-length 6687 yard course offers a more challenging layout than the South Course where strategy and finesse will help. Water is in play on 6 holes. This course has the South Fork River meandering through it and is very picturesque. Both courses are private and available only to property owners and their registered guests. Both courses have a pro shop and a driving range. The fees for each course for property owners currently are $13 for 9 holes, $18 for 18 holes, and an all day pass is $29. Cherokee Village offers many amenities available only to property owners and their guests. There are seven clean lakes for boating and fishing, two uncrowded championship golf courses, two community centers, six swimming pools, lighted tennis courts, multiple parks, and miniature golf. Once you become a property owner, you will receive membership cards that allow access to these amenities. Cherokee Village's residents decided to incorporate as a city in 1997, and its present form of government is made up of a Mayor and City Council. There are four Wards, and each Ward has two Aldermen. There is a City Council meeting on the third Thursday of every month at 7:00pm at City Hall. Cherokee Village has a full time police and fire department. The Cherokee Village Suburban Improvement District (SID) is charged with the maintenance and care of the village amenities, and each property owner pays a reasonable yearly SID assessment. The SID presently subsidizes the city's fire department and road maintenance. Conveniently located inside the city limits are stores, shops, banks, businesses, a post office, a small airport, many different churches, as well as numerous local civic groups and clubs. The very nearby towns of Highland, Hardy, and Ash Flat also offer a wide variety of shopping, restaurants, movie theaters, and business services. For example, from the village center of Cherokee Village, downtown Hardy with its quaint antique shops is less than 5 miles away, the Walmart SuperCenter in Ash Flat is less than 7 miles away, and the local Highland High School is less than one mile from the south entrance to Cherokee Village. The very popular Mammoth Springs State Park is less than 20 miles away. Most of all, Cherokee Village offers property owners low crime and an affordable, resort style type of living. Cherokee Village is located within the Highland School District with 3 schools. The Highland School District is fully accredited and has an excellent student to teacher ratio. A complete curriculum is offered in grades K through 12. Ozarka had an enrollment growth of 13.7 percent for fall of 2007. It was one of only four two-year colleges in the state of Arkansas to exceed a 10% enrollment increase. The average increase of fall enrollment at Arkansas two-year colleges was 4 percent in that same time period. Ozarka’s enrollment of over 1200 students also represented a 21% increase in full-time equivalent enrollment compared to fall 2006. College officials broke ground Dec. 4, 2007 for a new branch campus in Ash Flat. The 9200 square foot facility will house classrooms, a nursing lab, a study center, office space, a cyber café, and a student center. 24 hour ambulance service for all of Sharp County and a few nearby areas. Air Evac Life Team is a membership supported air medical service that provides helicopter ambulance service to and from Cherokee Village, making the trip to a major health care facility very quickly in times of critical need. This list does not include any local doctor's offices and other local medical providers. Of course, for any medical emegency, always dial 911 first. Cherokee Village was founded in 1954 by John A. Cooper, Sr., as the very first master-planned resort/retirement community in the United States. Today it is home to over 4600 residents who enjoy all the amenities that has made this area of the country a very popular vacation destination, a dream spot for retirement, and just a great place to raise a family. Want a free ad and link posted here? If you would like a free ad and a link to your local business, organization, church, club, etc listed, please email us at info@cherokeevillagear.net, or feel free to post it yourself at www.cherokeevillagear.net/forum under the appropriate category.